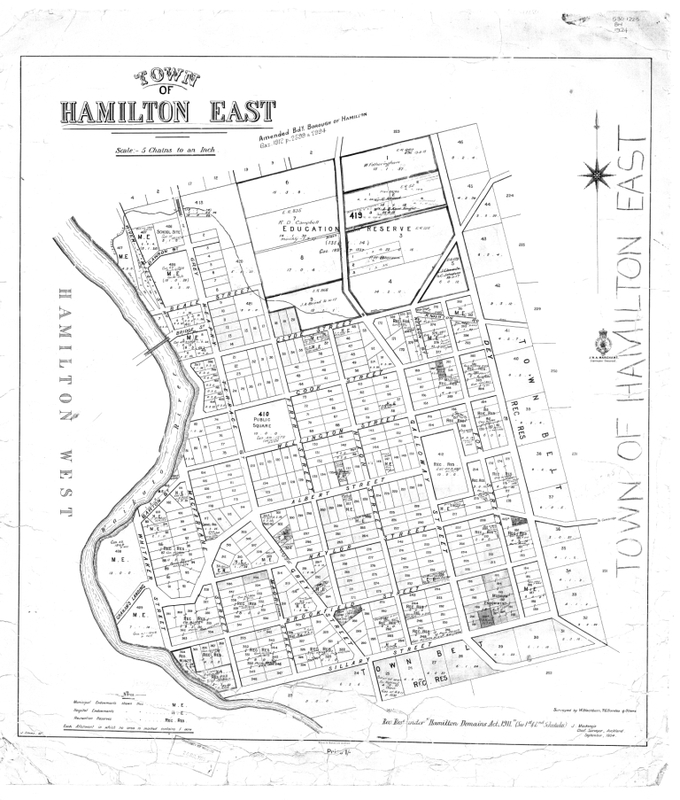 The 1864 Hamilton West town plan was surveyed by W.Blackburn and drawn by E. Bellairs. The names of Gerhard Mueller as chief surveyor, Auckland, and S.Percy Smith as Surveyor General are also on this drawing. One point to note about this drawing is that it refers to Ngaruawahia, not Newcastle. Also, other than directions to Māori town names, only Wai Tawhiriwhiri links this map to the per 1860s invasion/confiscation and there is no reference to Redoubts or Te Rapa Pa and Kirikiriroa Pa. The link to the University of Waikato Library map 013 dates this drawing to 1895. 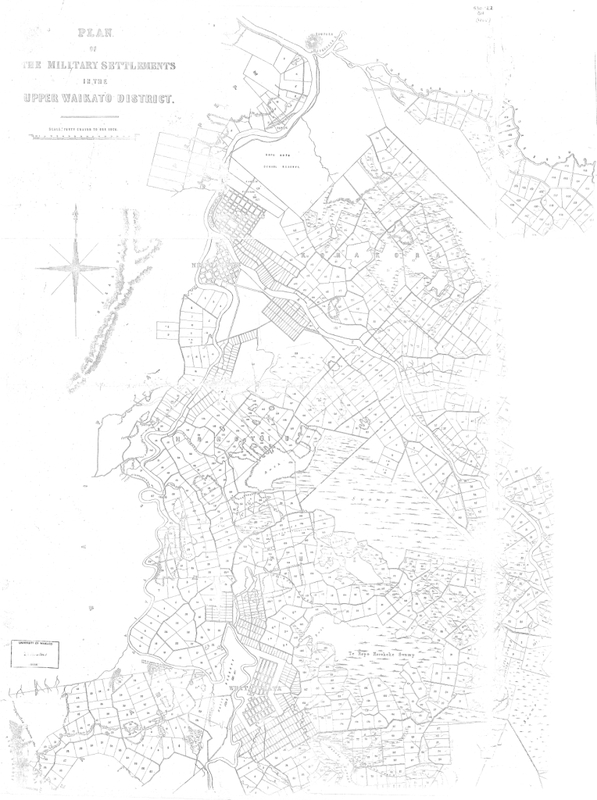 But this town belt idea was not a rule; it was more the desire to protect town breathing spaces, which became New Zealand law under “The Plan of Towns Regulation Act, 1875” which came into force on 1st January, 1876. 1. Streets of not less than 99 feet [30m] from building line to building line. 2. Reservations for recreation grounds; these to be not less than one-tenth of the area of the town; the separate sizes of the reserves to be not less than 12½ square chains [0.5 hectare]. 3. Cemeteries were prohibited in towns. 4. One acre in every ten was to be reserved as a town endowment. 5. In addition to the recreation grounds reserves were to be provided for rubbish disposal, gravel pits, quarries etc. 6. 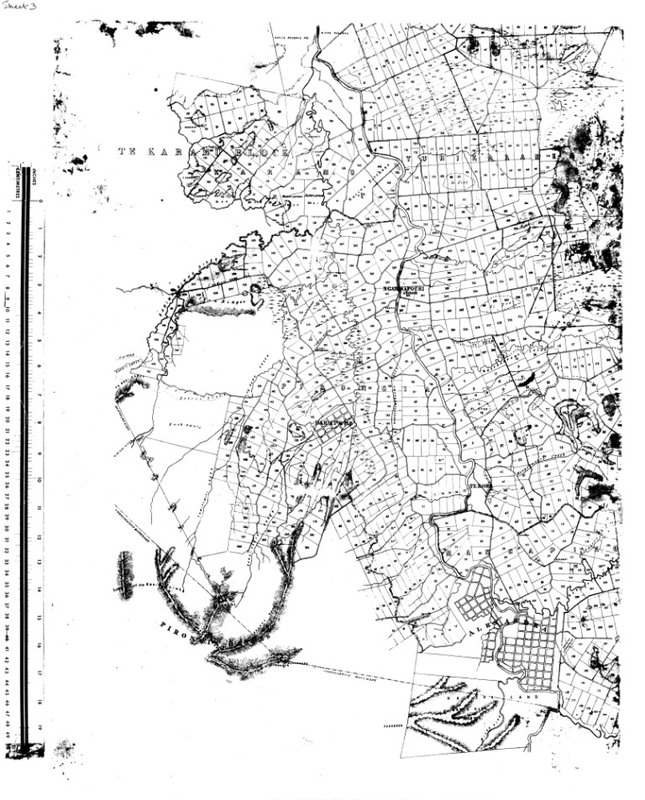 Plans of towns showing reserves etc. were to be lodged and to obtain Governor’s approval before being offered for sale. 7. Streets, as nearly as a due regard to the natural features of the country would permit, were to be laid off in straight lines and at right angles to each other. This Act was limited in its application to future towns to be laid on Crown Lands. It had no application to existing towns where the evils of original mistakes had grown in intensity.